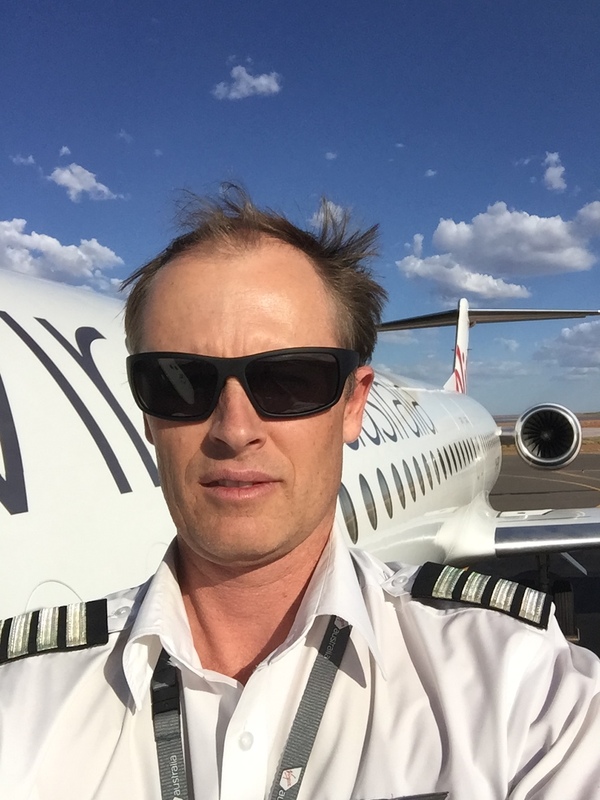 This article on Virgin Australia Regional Airlines (VARA) pilot Peter Phillips originally appeared in the December 2018 magazine edition of Australian Aviation. The origins of Virgin Australia Regional Airlines can be traced to the 1960s when Carnarvon Air Taxi was founded. Expanding from its Carnarvon roots to become a significant regional carrier, the airline was known for decades as Skywest. 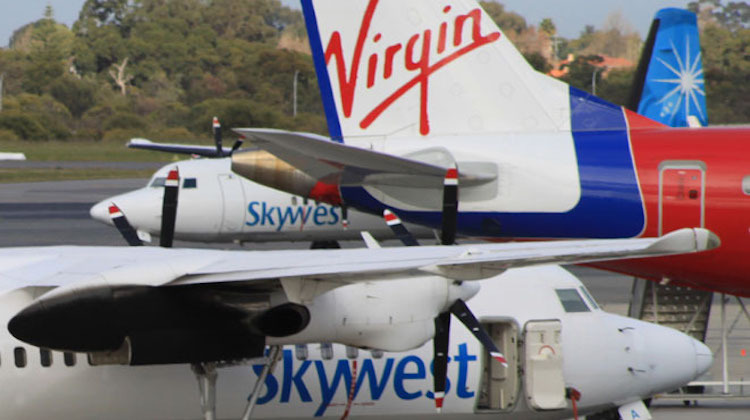 Skywest established a robust network across the vast state of Western Australia, surviving the Ansett collapse to become a strong independent player throughout the mid to late 2000s. 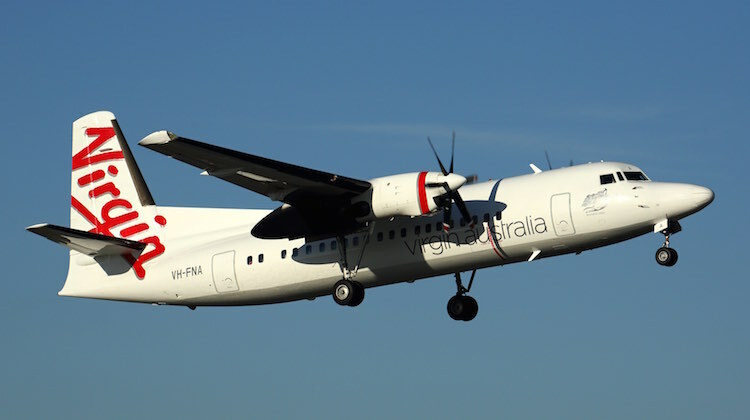 Acquired by Virgin Australia five years ago and renamed Virgin Australia Regional Airlines, the carrier today forms the backbone of Virgin’s regional and FIFO operations. Its fleet of Fokker 100s and Airbus A320s can be seen at destinations across Western Australia as well as a number of interstate locations. Fokker 100s make up the majority of the Virgin regional fleet, with 14 examples in service, operated by up to 100 pilots. Captain Peter Phillips is one of those. 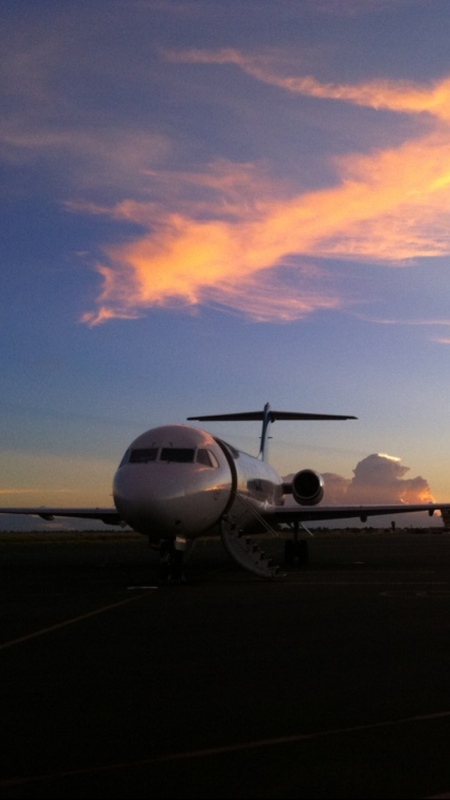 A West Australian local, Phillips joined Skywest in 2007 at a time the regional carrier was expanding thanks to the mining boom. Today he is a training captain on the Fokker 100 regional jet. His career has seen him at the controls of aircraft for Maroomba Airlines, QantasLink, Skywest and now Virgin Australia Regional Airlines. Yet despite reaching his goal of captaining commercial aircraft, Phillips fondly recalled his early flying days in remote Western Australia, and the role that focus, determination and a sprinkling of good fortune have played throughout his career. Captain Phillips’s goal was to fly commercial airliners from the time he was first attracted to aviation. Yet, like so many of his colleagues, the journey to the left-hand seat was full of adventure. He was in luck. TropicAir had recently started a wild dog-baiting contract in remote WA that was occupying most of the existing pilots’ time, resulting in the airline happily accepting Phillips as a new employee. “I settled into my new role, which involved flying doctors and other health professionals to remote Aboriginal communities around the north-west, along with the occasional joy flights around the town and providing flying instruction to the town’s budding pilots,” Phillips recalled. “I later gained my multi-engine endorsement. My job then included flying the local magistrate to his court engagements in a twin-engine Partenavia. The magistrate and I became quite good friends after spending so much time together,” he said with a smile. Despite enjoying his time with TropicAir, his ultimate goal was to fly for a commercial carrier. To this end, he left the Carnarvon-based operator and took up a position at Karratha Flying Services in order to gain greater experience with twin-engine aircraft. Throughout his time in Karratha, Phillips gained valuable multi-engine instrument flight rules (IFR) experience, piloting Beechcraft Barons and Piper Navajo/Chieftains to mining towns in the Pilbara. This was an exciting prospect as the work offered a variety of benefits that were out of reach of many charter pilots. Perks included regular overnights in towns around the state, door-to-door vehicle transfers and accommodation in high quality hotels. During his time at Maroomba Airlines, Phillips tuned his flying skills, piloting Cessna 310s to various locations as well as becoming a first officer on the airline’s Jetstream 31s, flying regular public transport (RPT) services to Mount Magnet, 300nm north-east of Perth. “This was my first introduction to formal two-crew operations, which was very important for the airline prospects that I had,” Phillips said. Phillips had enjoyed each stage of his early career and his time at Maroomba Airlines was no exception. However, his goal of flying for a commercial operator was always front and centre, leading him to regularly review future career prospects. “I’d always wanted to join Ansett, so I thought to myself that the best way to get into Ansett was to get a job with its opposition. With this in mind, I applied for and gained employment with Eastern Australia Airlines in Sydney. Despite having to overcome some initial nerves, the decision paid off and Phillips enjoyed a six-year career with the regional carrier subsequently rebranded as QantasLink. Throughout this time, he lived in both Sydney and Melbourne, achieving a career goal by taking command as captain of a regional airliner, the Bombardier Dash 8. While thoroughly enjoying his time at QantasLink, Phillips had a desire to return home to Western Australia. During the early 2000s the state’s economy was booming off the back of unparalleled investment and exploration in the mining sector. Such economic conditions offered improved prospects for pilots based on the west coast. Fortune was once again on his side. Phillips recalled: “I received a phone call while on an overnight in Tasmania. It was Skywest Airlines in Perth, asking if I’d be interested in attending an interview for a position as a first officer on its fleet of Fokker 50 aircraft. This was a pivotal moment in his career. He accepted the job and started work with Skywest in January 2007. His Fokker 100 hunch was proved right when, after just 10 months operating the Fokker 50, he undertook training to become a first officer on the 100-seat jet. It was his first exposure to commanding jet aircraft and the realisation of an aviation ambition, something he had been working towards since his first days of training at Jandakot Airport. 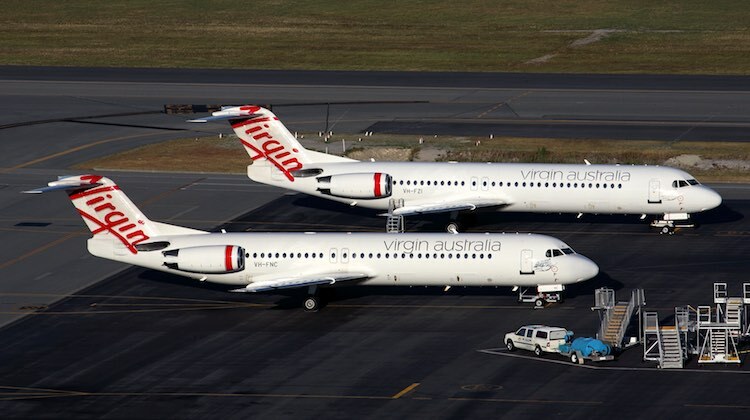 During Phillips’s time with Skywest, the regional carrier became closely connected to Virgin Australia. In 2013 Virgin Australia acquired Skywest outright and it was swiftly rebranded as Virgin Australia Regional Airlines. The Fokker 50s were retired in early 2016, but the Fokker 100s have been supplemented by additional airframes. Today they operate a mix of charter and regular passenger services throughout Western Australia, South Australia and the Northern Territory. This offers pilots such as Phillips a dynamic role, taking him to a variety of destinations. With the Fokker 100s flying into such a varied mix of regional and remote airports, there are multiple air traffic services for pilots to contend with. These are often within close proximity to each other, while many of the airfields across the network operate without a control tower. Phillips explained: “It’s important to have a mental map of where each airport is and where other aircraft are that are also operating into or out of these locations. Following a six-year stint in the right-hand seat and logging valuable experience on the Dutch-built jet, Phillips was subsequently promoted to captain of the Fokker 100. Additionally, for almost three years, he has been a training captain with the airline. This is a highly rewarding part of his career due to the influence he has in helping other pilots grow and develop their skills. “In my current role as a training captain, the most rewarding part of my job is when the candidate that I’ve been training successfully passes their check to line. I really look forward to hearing that they’ve done well,” he said. 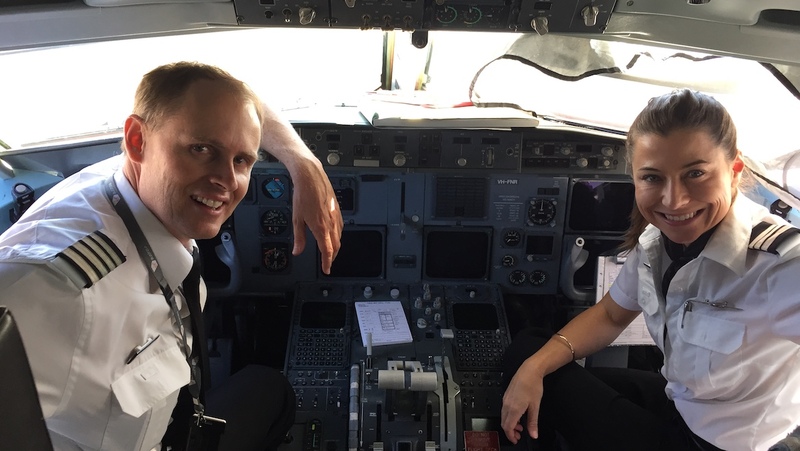 As a senior member of the Virgin Australia Regional Airlines team, Phillips still finds flying an exciting and engaging job. And despite the variety of destinations that he visits, Perth retains a special place in his heart. 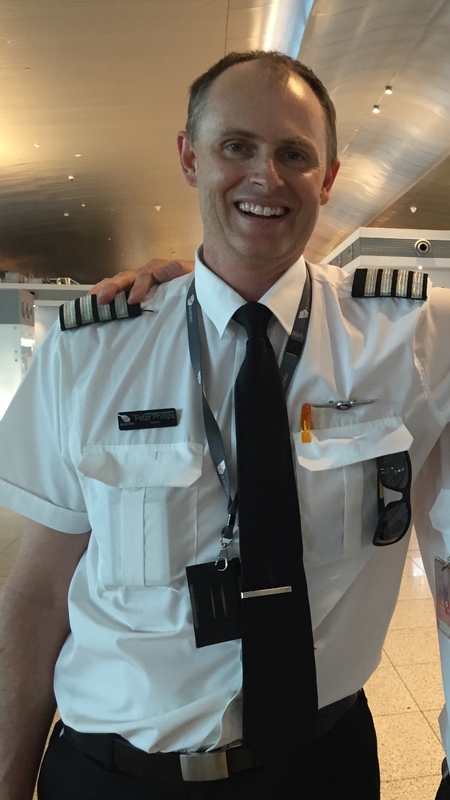 So the next time you board a commercial airliner, listen out for the captain’s message and feel confident that pilots like Peter Phillips are in command, and determined to succeed. This article originally appeared in the December 2018 magazine edition of Australian Aviation. To read more stories like this, subscribe here. Really enjoyable to read these features. Thanks for sharing. I agree with Richard. Thanks for the great articles.